Charbella Hosry is someone who has caught our attention recently. 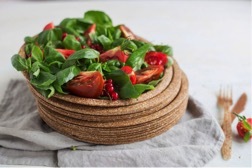 Three months ago she launched her new company called Eat a Plate LB, and has become the sole distributor for the Arab region of a line of 100% organic plates and cutlery made from clean edible compressed wheat bran with no additives or chemicals that is made in Poland. The plates, which are compostable in 30 days, are also safe for microwave use and can be used in the oven for baking (for up to 180 degrees Celsius). Soon, she is going to expand her portfolio and bring in other utensils and products that are also 100% biodegradable, safe and also edible. “It all started when I was raising my two young children,” says Charbella. “I didn’t want to feed them with neither disposable or reusable plastic plates, or use Tupperware to store the food.” Fearing there is leaching of plastic toxins into her children’s meals, especially when the food was hot, she decided not to use any of the available plastic tableware and began to investigate better alternatives. “I research extensively before I find the right products. I will not accept to market anything unless it is genuinely free from toxins and 100% safe,” Hosry explains. 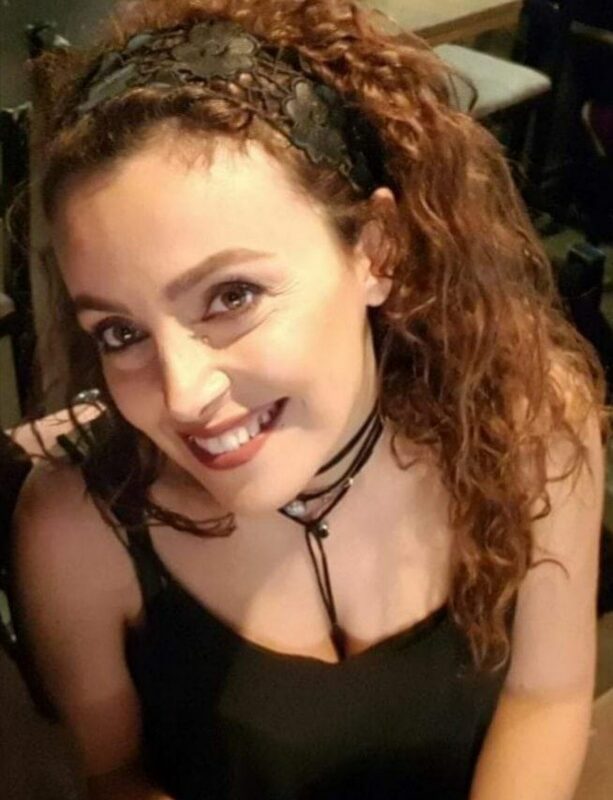 Taking into consideration that Lebanon has been facing a garbage crisis, and its potable water source is diminishing with polluted waterways, she felt she had to apply a business model that is, first and foremost, going to spread awareness about eco-friendly practices and not further contribute to the ongoing waste crisis. Hosry also points out that many food-packaging items claiming to be healthy and environmentally friendly are actually misleading. One example would be the brown cardboard Kraft boxes often used in fast food chains, food festivals or take away restaurants. They are usually coated with wax, which in turn releases chemicals onto the food itself. “These products may have at least 20% chemicals, plus many are not recyclable, compostable or biodegradable,” says Hosry. As mentioned earlier, Lebanon is a tough market to introduce eco-friendly products. One reason, according to Hosry, is that the government imposes no taxes on plastic disposable tableware, while her 100% biodegradable wheat bran cutlery and plates are taxed. This is because her products are considered to be food (since they are edible), and are imposed the same taxes as imported food. Ironically, cost per unit for a plastic plate made in China is already much cheaper than a Eat a Plate LB wheat bran plate, plus it is not taxed at the Lebanese port of entry. This only makes the price disparity between the two even higher for the consumer. Europe, on the other hand, applies taxes to all plastic tableware and none on the biodegradable kind to discourage plastic and encourage healthy alternatives. Hosry says that in some countries eco-friendly products have even become cheaper than plastic, making it easier for people to switch. “To eventually change legislation to our favour, we need to build awareness slowly but surely,” says Hosry. 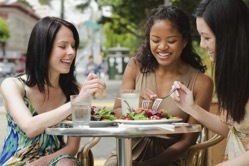 She has already started an online campaign to market her eco-friendly plates and cutlery. She is also present at Souk El Tayeb every Saturday in Beirut Souks with a space to market her merchandise and talk to people about eco-friendly practices. “It’s mostly about spreading the word from person to person and this is how people are becoming more aware and interested,” claims Hosry. Orders are picking up for birthday parties and events, plus a newly opened play area for children and various healthy food restaurants are also on board. Hosry also proudly tells us that a large bakery chain in Lebanon is now going to place their sweets on these biodegradable wheat bran plates instead of using the customary plastic trays. Alia Fawaz is a writer, activist, life-enthusiast and a mother of three. She was raised in Japan and spent most of her adult years between Europe and the Middle East. She has written extensively on a range of topics covering the environment, renewable energy sources and social entrepreneurship for different publications, since taking up writing full time eight years ago. A storyteller by heart, she also loves to bring out the personal narratives of remarkable individuals who do good deeds through their endeavors. She loves to connect with nature through hiking, which has become her favorite form of therapy. She looks forward to connecting with other like and open-minded people who promote inclusion, love diversity, and appreciate the simple things in life.